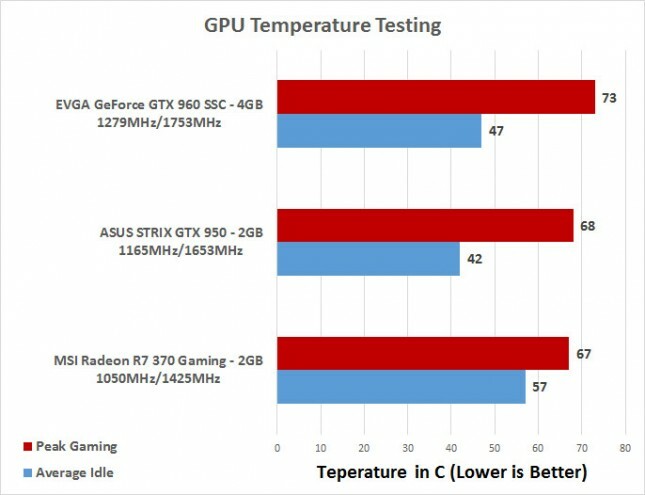 The MSI R7 370 Gaming 2G video card has no fans spinning at idle, so the card is dead silent. 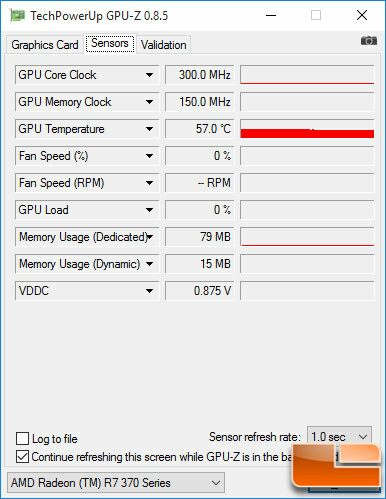 With no fans spinning to help keep the GPU cool we observed the idle temperature being 57C. When gaming we hit 67C in a room where the temperature was 67F (20.5C), so we have no complaints at all. 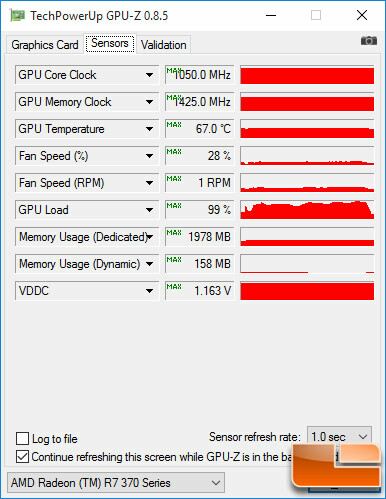 GPU-Z did not correctly report the fan speed on this particular card. All of the cards have no fans spinning at idle, so the idle noise is the same on all of the cards. The only reason the system is above ambient noise levels is due to CPU’s water cooler fans and pump noise. With the fans running while gaming, the MSI R7 370 Gaming 2G hit 40.4 dB on our open test bench, so it didn’t get loud at all. We didn’t notice any choke noise or fan noise while gaming when we tried the card inside of a PC case. 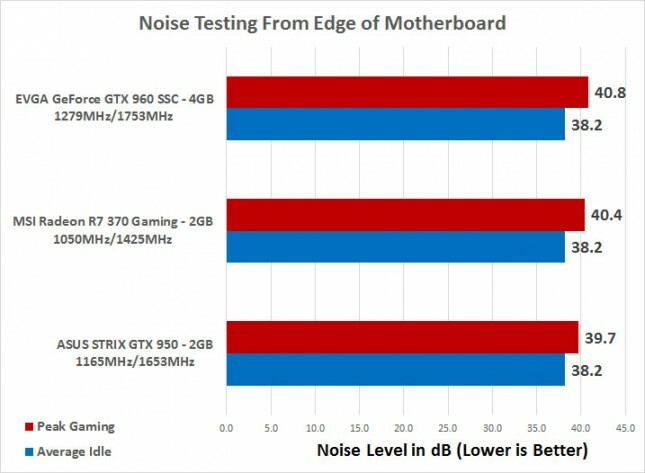 The noise between the three cards we tested was pretty much the same at both idle and load since none of the fans spun at idle and all GPU coolers were dual fan models with low RPM fan speeds.